Bernard, S. (2013). Il ritorno dei Gastarbajteri nella politica migratoria della Jugoslavia socialista (1969-1991), Percorsi Storici, issue 1, http://www.percorsistorici.it . Bernard, S. (2011). Emigrazione, Reti Coscienza di Appartenenza: il Caso dell’Emigrazione Serba prima e dopo la Dissoluzione della Jugoslavia In A. D’Alessandri and A. Pitassio (eds. ), Dopo la Pioggia. Gli Stati della Dissoluzione della Ex Jugoslavia e Dell’Albania 1991-2011, Bari: Argo. Bozic, A. (2012). 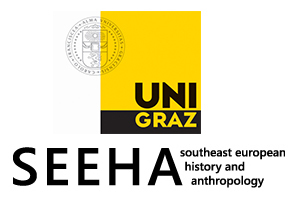 A Two-Way Ticket: Return Migration of Tertiary (Post) Graduates as Potential Channel of the Brain-Gain Process in Bosnia and Herzegovina, (Fellowship for Social Researchers “Generations in Dialogue”) ERSTE Foundation: Vienna / Austria. Galasińska, A. (2010). Leavers and stayers discuss returning home. Internet discourses on migration in the context of the post-communist transformation. Social Identities 16(3), 309-324, ISSN 1350-4630. DOI: 10.1080/13504630.2010.482416. Galasińska, A. (2010). Narrating migration, narrating transformation. In D. Uffelmann and J. Rostek (eds.) Contemporary Polish Migrant Culture in Germany, Ireland, and the UK, Frankfurt am Main: Peter Lang, 225-243, ISBN 978-3-631-58773-7. DOI:10.1080/13691831003643363. Galasiński, D. and A. Galasińska (2010). A two-way street? Discourses of post-communism and their sources. In R. de Cillia, H. Gruber, M. Krzyżanowski and F. Menz (eds.) 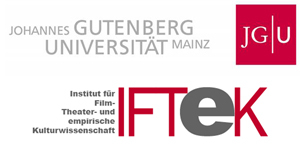 Diskurs-Politik-Identität / Discourse-Politics-Identity. Essays for Ruth Wodak on Her 60th Birthday, Tübingen: Stauffenburg Verlag, 343-353, ISBN 978-3-86057-669-4. Galasińska, A. and O. Kozłowska (2009). ‘Either’ and ‘Both’ – the changing concept of living space among Polish post-communist immigrants to the United Kingdom. (co-author). In M. Baynham, J. Collins and S. Slembrouck, (eds.) Globalization and Language in Contact: Scale, Migration, and Communicative Practices, London: Continuum, Advances in Applied Linguistics series, 170-188, ISBN 0826497985. Galasińska, A. and O. Kozłowska (2009). Discourses on a ‘normal life’ among post-accession migrants from Poland to Britain. In K. Burrell (ed.) Polish Migration to the UK in the ‘New’ European Union: After 2004, Aldershot: Ashgate, 87-106, ISBN 978-0-7546-7387-3. Galasińska, A. (2009). Small stories fight back. Narratives of Polish economic migration on an internet forum. In A. Galasińska and M. Krzyżanowski (eds. ), Discourse and Transformation in Central and Eastern Europe, Basingstoke, New York: Palgrave Macmillan, 188-203, ISBN 13: 978-0-230-52102-5. Galasiński, D. and A. Galasińska (2007). Lost in communism, lost in migration: Narratives of post-1989 Polish migrant experience, Journal of Multicultural Discourses. 2 (1), 47-62, ISSN 1744-7143. DOI: 10.2167/md046.0. (2011) Ciubrinskas, Vytis (ed.) Lithuanian Identity in the Pathways of Contemporary Migration. Kaunas: Vytautas Magnus University Press (in Lithuanian and in English). (2010) Ciubrinskas, Vytis and Sliužinskas, Rimantas (eds.) Identity Politics: Migration, Communities, and Multilingualism. [ Acta Historica Universitatis Klaipedensis, vol. 20 : Studia Anthropologica, vol.4. ], Klaipeda: Klaipeda University Press. (2009) Ciubrinskas, Vytis and Sliužinskas, Rimantas (eds.) Identity Politics: Histories, Regions and Borderlands. [Acta Historica Universitatis Klaipedensis, vol. 19 : Studia Anthropologica vol.3.] Klaipeda : Klaipeda University Press. (forthcoming) “Transplanted Heritages and Long Distance Nationalism of Lithuanian-Americans”, – Adams, Jane (ed.) Roots and Branches: Migrations to the Lower Ohio and Mississippi Valey. Southern Illinois University Press, Carbondale, IL. (2013) “Forging Ethnic Heritage and Roots of Lithuanian Origin in the New World: Identity Politics of Lithuanian-Descended Texans”, – Oikos. Journal of Lithuanian Migration and Diaspora Studies, vol.1(15): 25-38. (in Lithuanian). (2013) “Diaspora as a Resource of Homeland Nationalism forged Overseas and Contested Back Home”, – Kokot, Waltraud, Christian Giordano, Mijal Gandelsman-Trier (eds.) Diasporas as a Resource . Comparative Studies in Strategies, Networks and Urban Space. Wien, Berlin: LIT Verlag, p. 105- 122. (2010) “Forging (ethno)Nationalist Sentiment through Time and Space: Revivalist and Diasporic Ways of Accommodating Multiculturalism in East Europe and in the USA”, – Ruegg, Francois, Andrea Boscoboinik (eds.) From Palermo to Penang. A Journey into Political Anthropology Wien: LIT Verlag, p. 103-118. (2009) “Transatlantic Migration vis-à-vis Politics of Identity : Two Ways of Lithuanian-ness in the US” , – Philosophy.Sociology, vol. 20 ( 2):85-95. (2009) “Reclaiming European Heritages of Transatlantic Migration : The Politics of Identity of East European Immigrants to the U.S.A.” , – Anthropological Journal of European Cultures. New York : Berghahn Journals, vol. 18 (2): 50-68. (2009) “Diasporas Coming Home : Identity and Uncertainty of the Transnational Returnees in Postcommunist Lithuania”, – Kürti, László and Peter Skalník (eds.) Postsocialist Europe : Anthropological Perspectives from Home. New York – Oxford: Berghahn Books, p. 95-117. (2009) “Lithuanian Transnationalism : Politics of (Trans)migrant Identity”, – Donskis, Leonidas (ed.) A Litmus Test Case of Modernity : Examining Modern Sensibilities and the Public Domain in the Baltic States at the Turn of the Century. Bern : Peter Lang. (2008) “Identity Politics and Migration”, – Anthropological Journal of European Cultures, vol. 17(1): 155-158. (2006) “’To be of Use for Your Own Country’ – Missionary Identity of the Lithuanian Transmigrants”,- Social Sciences, vol. 3(53): 25-32. (2005) “Lithuanian Transnationalism : Constructed, Imagined and Contested Identity of Lithuanian Americans”, – Kuiziniene, Dalia (ed.) Beginnings and Ends of Emigration: Life Without Borders in the Contemporary World: a Collection of Scholarly Essays. Vilnius : Versus Aureus. p. 33-49. (2005) “Politics of Identity: Lithuanianness in Diaspora”, – Sociology. Thought and Action, vol. 16(2): 41-54 (in Lithuanian). (2004) “Transnational Identity and Heritage: Lithuania Imagined, Constructed and Contested”, – Craith, Mairead N., Kockel, Ullrich (eds.) Communicating Cultures. Berlin & London: LIT Verlag. Pp. 42-66. Migration zwischen Gleichheit und Differenz, in: Rosecker, Michael / Müller, Bernhard: Gleichheit. Fragen der Identität, Ähnlichkeit, Vielfalt und Differenz. Wiener Neustadt, 2007. „Das Nichtstun beherrscht den Tag.“ Die Arbeitslosen von Marienthal und ihre Relevanz für die Erforschung der Lebenswelten von AsylwerberInnen und MigrantInnen, in: Schmidinger, Thomas (Hg. ): „Vom selben Schlag…“ Migration und Integration im niederösterreichischen Industrieviertel Wiener Neustadt, 2008. Organisierte Diaspora? Tschetschenische Vereine in Österreich, in: Schinnerl, Herwig / Schmidinger, Thomas (Hg. ): Dem Krieg entkommen. Tschetschenien und TschetschenInnen in Österreich. Wr. Neustadt, 2009. Migration und Integration, in: Langthaler, Herbert (Hg. ): Integration in Österreich. Sozialwissenschaftliche Befunde. Wien, 2010. Krise und Politischer Islam. Debatten über „Islamische Ökonomie“ im Angesicht der Wirtschaftskrise, in: Oberlechner, Manfred / Hetfleisch, Gerhard (Hg. ): Integration, Rassismen und Weltwirtschaftskrise. Wien, 2010. Islam, Migration and the Muslim Communities in Europe: History, Legal Framework and Organizations, in: Dzihic, Vedran / Schmidinger, Thomas: Looming Shadows. Migration and Integration at a Time of Upheaval. European and American Perspectives. Washington DC, 2011. Antisemitismus und Islamophobie. Einige Neuerscheinungen zum Vergleich von Antisemitismus und antimuslimischen Ressentiments, in: Österreichische Zeitschrift für Geschichtswissenschaften (ÖZG), 2011/3. Politischer Islam in Österreich, in: Floris Biskamp / Stefan E. Hößl (Hg. ): Islam und Islamismus. Perspektiven für die politische Bildung. Gießen, 2013. AlevitInnen in Vorarlberg (gemeinsam mit Pelin Özmen). Innsbrucker Diskussionspapiere zu Politik, Religion und Kunst, Nr. 45 (April 2013). Neuland: Refugees and Austrian Residents Get Connected (gemeinsam mit Margerita Piatti) in: Koegler-Abdi, Martina / Parncutt, Richard (Hg. ): Interculturality. Practice meets Research Newcastel upon Tyne, 2013. The Kurdish Spring in Diaspora? Austria and its Kurds in: Ahmad, Mohammed M. / Gunter, Michael: The Kurdish Spring. Geopolitical Changes and the Kurds. Costa Mesa, California, 2013. Gora. Slawischsprachige Muslime zwischen Kosovo, Albanien, Mazedonien und Diaspora Wiener Verlag für Sozialforschung. Wien, 2013. „Die kurdische Minderheit ist in Syrien keiner Verfolgung ausgesetzt“ Syrische Kurden und Kurdinnen in Österreich zwischen Asylverfahren und Exilaktivitäten, in: Wiener Jahrbuch für Kurdische Studien 1/2013: Transnationalität und kurdische Diaspora in Österreich. Wien, 2013. Kirndörfer, E. and Ammann, B. (2014). Interkulturelle Jugendarbeit im ländlichen Ostdeutschland am Beispiel Brandenburg. IMIS Schriften Osnabrück. Kirndörfer, E. and Ammann, B. (forthcoming). Potsdamer Jugendliche mit Migrationsgeschichte – sans soucis? Landeshauptstadt Potsdam.